NEW BREMEN, Ohio (August 1, 2018) – Food Logistics has recognized Crown Equipment Corporation, one of the world’s largest material handling companies, for its sustainability efforts within the food and beverage industry for the second year in a row. The recipients of the Top Green Provider award are chosen annually by Food Logistics’ editorial staff and advisory board. Crown has recorded many achievements in promoting sustainability including the attainment of zero landfill status for five of its North American facilities, the elimination of thousands of metric tons of greenhouse gases through transportation improvements and the reclamation of more than one-half million square meters of brownfield space around the world. 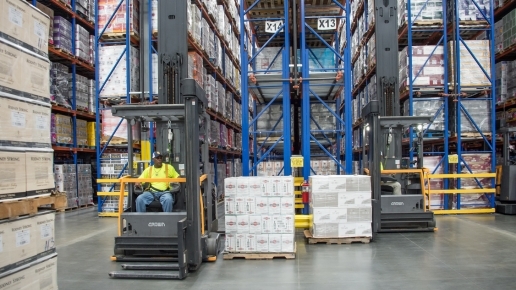 The design of Crown’s lift trucks is also a key initiative in its focus on sustainability. Crown lift trucks are designed to use fewer parts, require less maintenance and produce less waste throughout their lifetime. In addition, many Crown lift trucks are given a second life through the company’s Encore program, in which forklifts are inspected, repaired and fully revitalized with Crown Integrity Parts. These initiatives create both environmental and economic advantages for Crown’s customers and the communities in which they operate. Crown has also been recognized as a three-time recipient of the Ohio EPA’s Encouraging Environmental Excellence gold-level award, which acknowledges organizations that exceed regulatory obligations and commit to long-term strategies to reduce waste, lower emissions and improvement environmental performance. In total, the company has received more than 20 sustainability awards since its first in 1991. 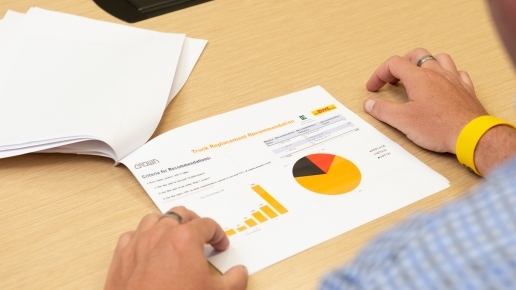 For more information on Crown’s corporate ecologic program focused on smart business and environmental sustainability, including environmental initiatives and achievements, download a copy of its newly-released ecologic Report.